This perennial evergreen shrub was introduced from California to Britain in the 1700s, and it has since become popular as a municipal planting on roadside verges and banks. Once established it easily self-seeds in dry and frost-free locations. This evergreen shrub grows to a height of 2 m. It has greyy-green palmate leaves each with 5 to12 oval leaflets 2 to 6cm long, The flowers, which form racemes 10 to 30cm in length, are usually yellow but occasionally they are white with a mauve tinge. 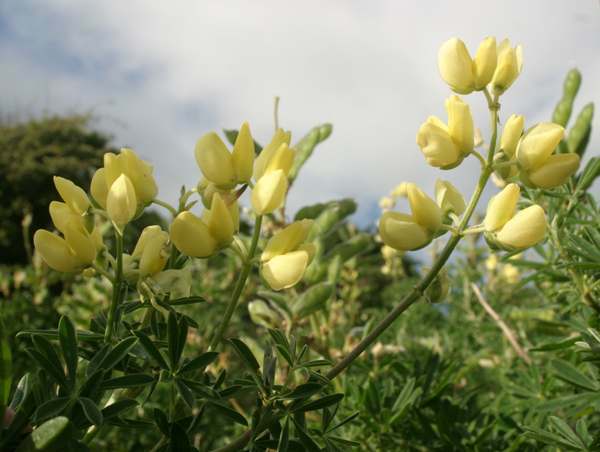 Tree Lupin is particularly common on southern and western coasts around the UK, and it has colonised coastal habitats in many other parts of Eurpe as well as Australia, New Zealand and parts of Asia and South America. 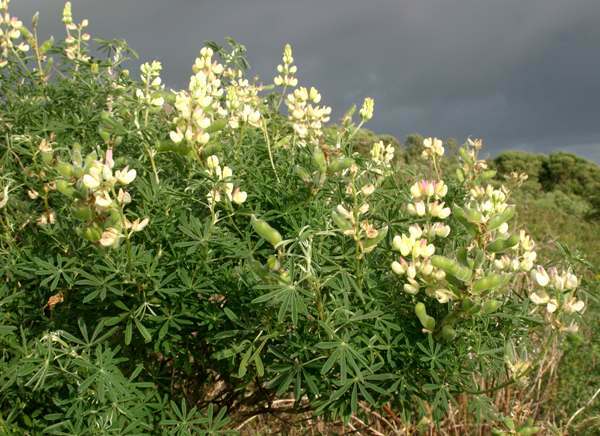 The Tree Lupin, more accurately but less frequently referred to as the Bush Lupin, is particularly common on the light, sandy soils of the coastal strip of south and west Wales. 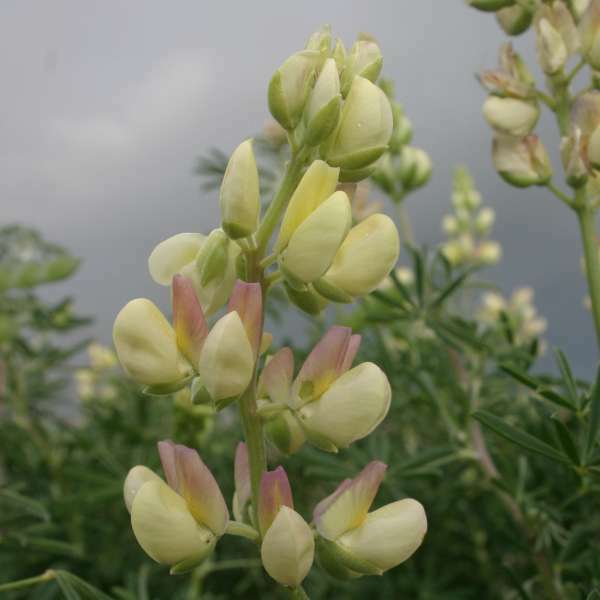 Tree Lupins bloom from May to August and are generally at their best from mid June to the end of July. The Tree Lupin plants shown on this page were photographed on the West Wales coast in July.